An endurance sports training specialist, I work with athletes to create individual training programs based on each athlete’s goals to ensure optimal training, racing and lifestyle. Whether you are a newbie athlete, a learn to be a beginner, an experienced athlete, a PRO competitor, I have the knowledge, experience and passion to work and motivate you to attain your personal best performance in Cycling, Run and Triathlon, while maintaining a healthy lifestyle. I am a Mechanical Engineer and Master of Science In Biomechanics. 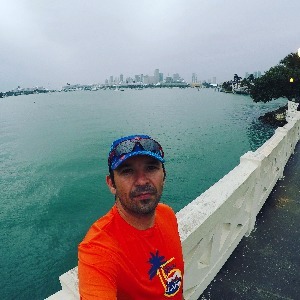 As an experienced endurance athlete, I have participated in all distances of triathlons, numerous road and trail running races, as well as mountain and road bike racing. As a former level competitive soccer player, I knows what it takes to reach the top. As a Certified USA Triathlon, Trainingpeaks, USA Cycling, Ironman University Coach, etc. Focus in Training is my coaching business that allows me to work one to one with athletes to reach their personal best performance. My philosophy: Successfully athletes, child or adult, need to be in balance with the world they live in. My coaching style is to nurture and build successful athletes with holistic values that are based on physical, social, environmental, psychological, and economic conditions. Success. Coach BENITO FLORES has been notified of your message. To hire BENITO FLORES as your coach, select the coaching service that is right for you.